Are Lingus has presented a brand refresh which includes a new logo, aircraft design, website, app, airport check-in areas, boarding gates and more. Fun fact: more than 50 (yes 50!) shamrock designs were considered during the rebrand process, leading to the finalized new Aer Lingus logo, intact with shamrock hearts to reflect the brand’s warmth and hospitality. Later in 2019, the airline will also introduce new uniforms to be worn by Aer Lingus staff and brand new aircraft will continue to enter service with the carrier as well. 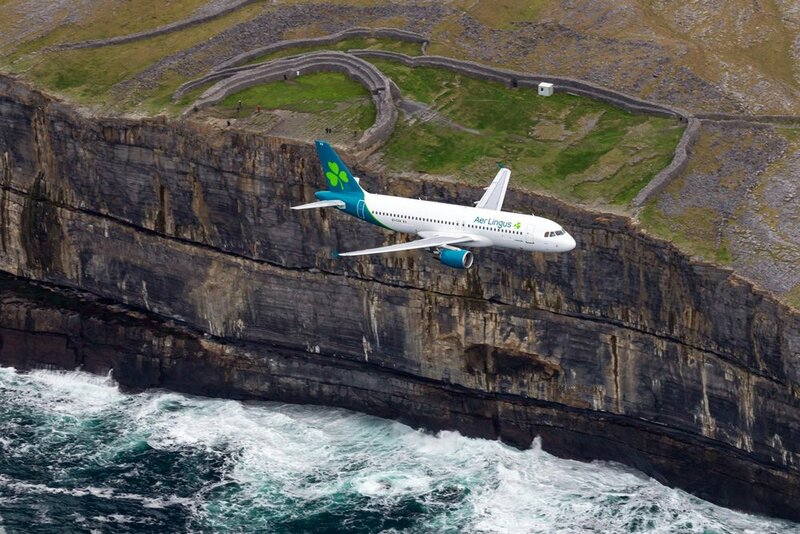 “The Aer Lingus brand has evolved significantly over the last number of years. Since 2015, we’ve invested in our business, improving our value proposition and overall guest experience and becoming Ireland’s only four star airline. Innovations we have introduced include the roll-out of WiFi on our A330s, automated check-in and bag drop at Dublin Airport, Business Class improvement with fully lie-flat beds and economy catering upgrades. We’ve also enhanced our performance to become the most punctual airline at Dublin Airport. We conducted extensive guest research across Ireland, Europe & North America to inform every key stage of the process to ensure that the brand revealed today is reflective of our value carrier positioning. This research confirmed the importance of our shamrock – the Irish emblem has been at the heart of the Aer Lingus brand for more than 80 years, and we made the shamrock ‘hearts’ more pronounced to reflect our hospitality and service.